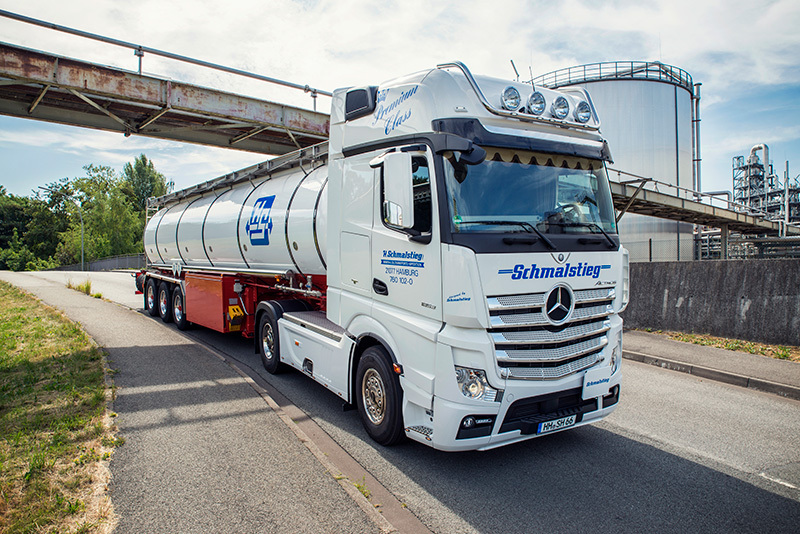 The Schmalstieg family founded the business Heinrich Schmalstieg Tankwagentransporte und Spedition in 1963 with just a single used tanker. There’s still no end in sight to the success story. Even as a privately-owned limited liability company, H. Schmalstieg remains a flourishing family business. For the purpose of supplying international maritime transporters with lubricants from land, we currently have a fleet comprising a variety of vehicles and additional equipment to enable deliveries even to quays in difficult locations. 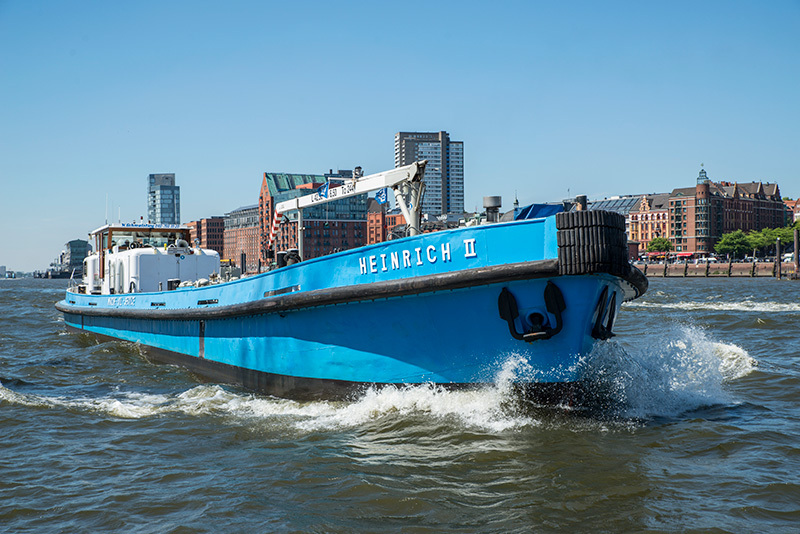 We also perform at-sea deliveries in Hamburg as well as further up the Elbe as far as Cuxhaven with our supply vessels ‘Heinrich’ and ‘Heinrich 2’. Both barges are fitted with modern navigation equipment and are in excellent condition, as is the company’s equipment as a whole. The supply vessels are loaded from tanker vehicles or directly from the lubricant plants. 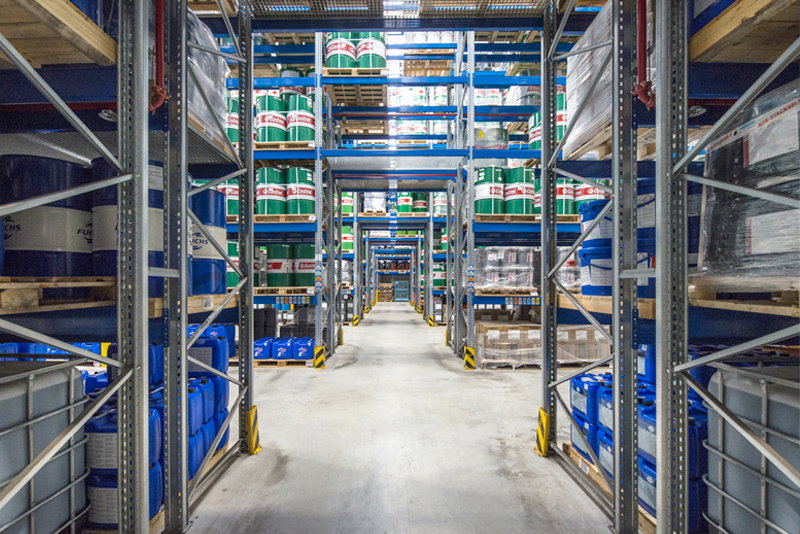 We offer our customers storage facilities for lubricants as bulk products and in tanks. 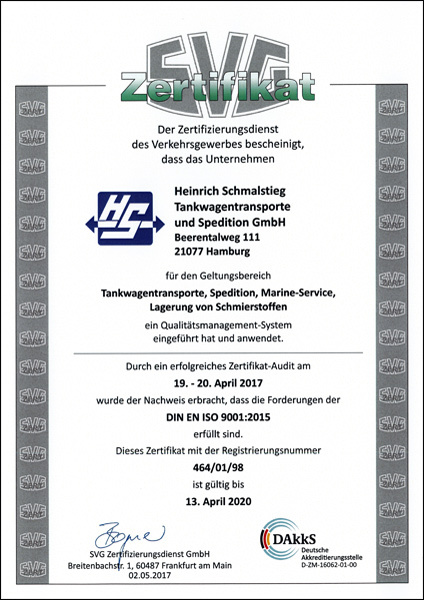 In our modern tank storage facility, we manage storage with the aid of computer technology, and our customer can access inventory lists at any time online. We have a larger number of smaller tanks at our disposal at our bulk storage facility. 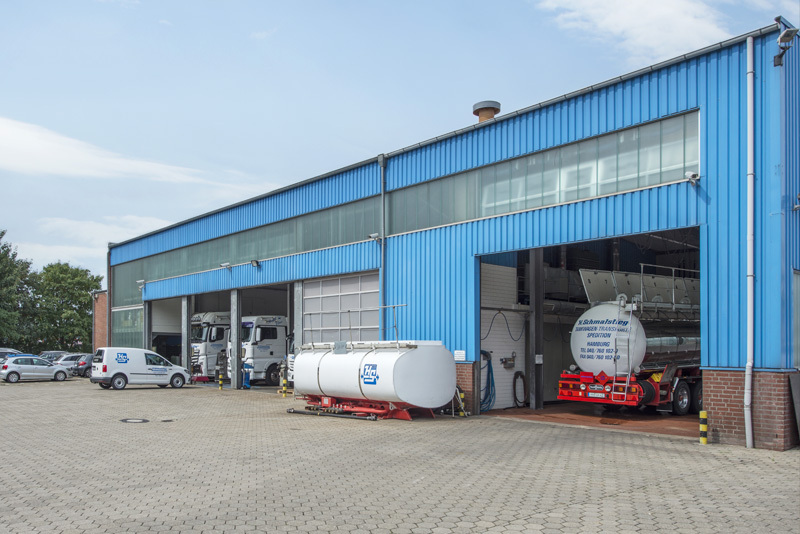 Our own workshop with adjacent tanker cleaning facility forms the heart of our business. The vehicles are built by us in line with our own needs here and fitted with the necessary equipment. Subsequent and ongoing preventative maintenance ensures that the failure rate of the vehicles and the fitted technology remains at a minimum.